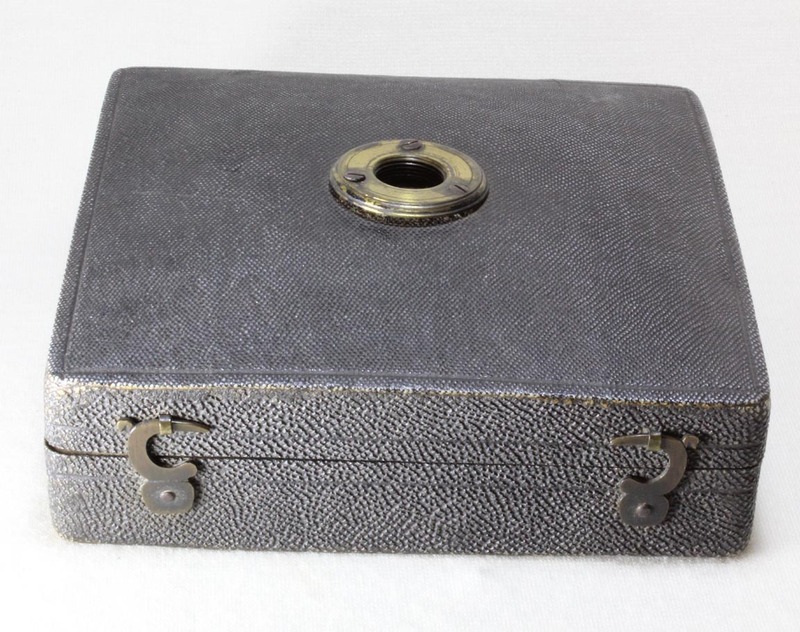 Both lieberkuhns are stored silvered-side down on small glass plates inside the case to protect the silver from oxidation. 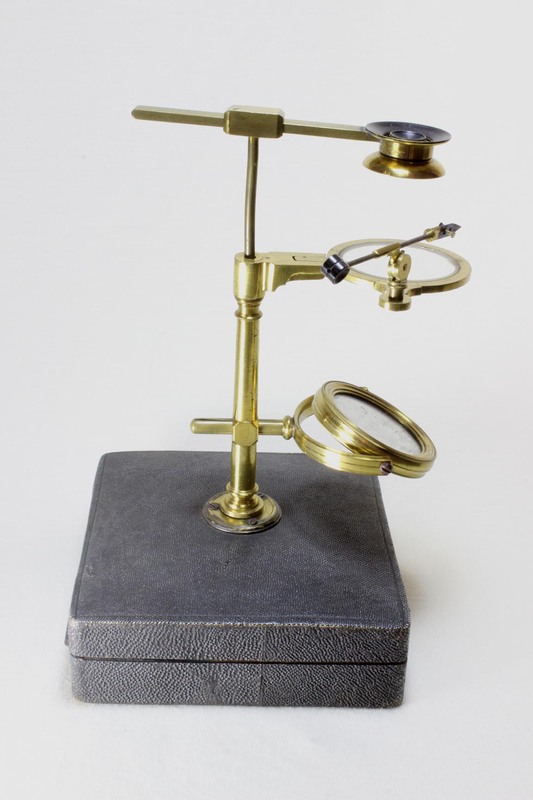 The instrument is virtually identical to microscope number 19 in the Whipple Museum (Cambridge, England) Microscope Catalog. 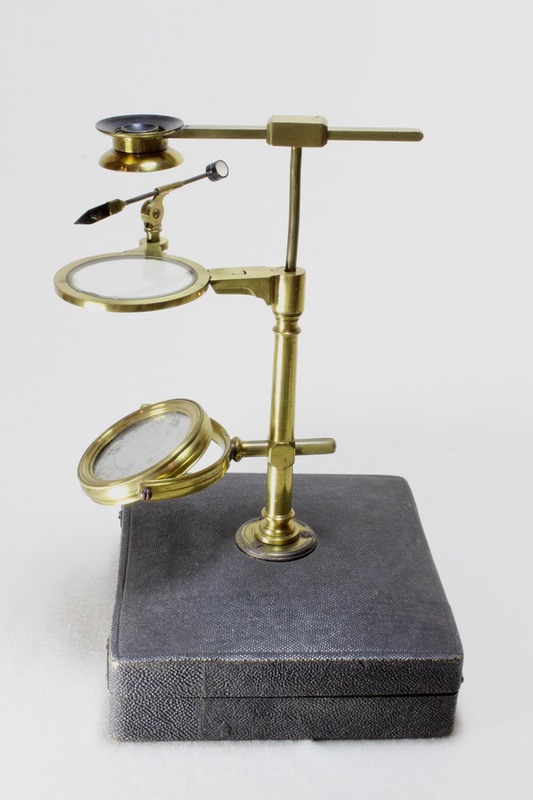 What has become known as the 'Ellis Aquatic' type of microscope was actually first invented by Abraham Tremblay before 1744. 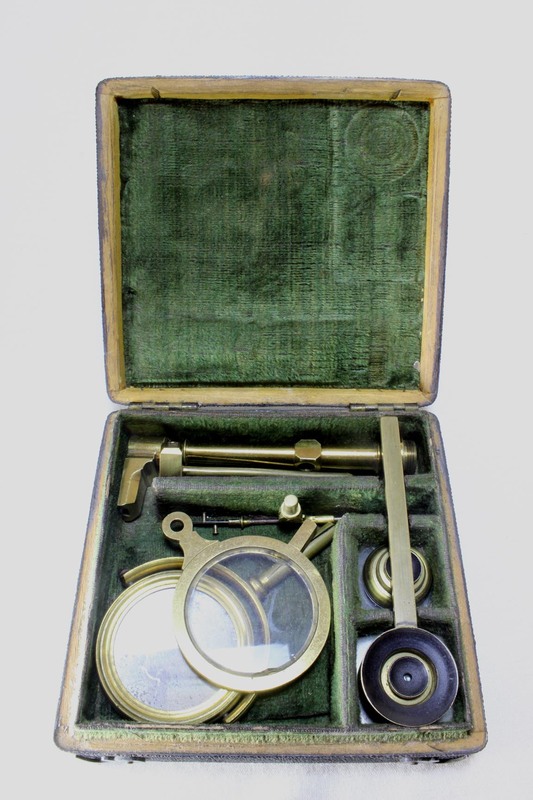 Around 1745 Cuff made a highly portable simple microscope with a fixed arm and this has been said to be the precursor of the Aquatic or 'Ellis-Type' microscope that John Cuff and Ellis popularized. 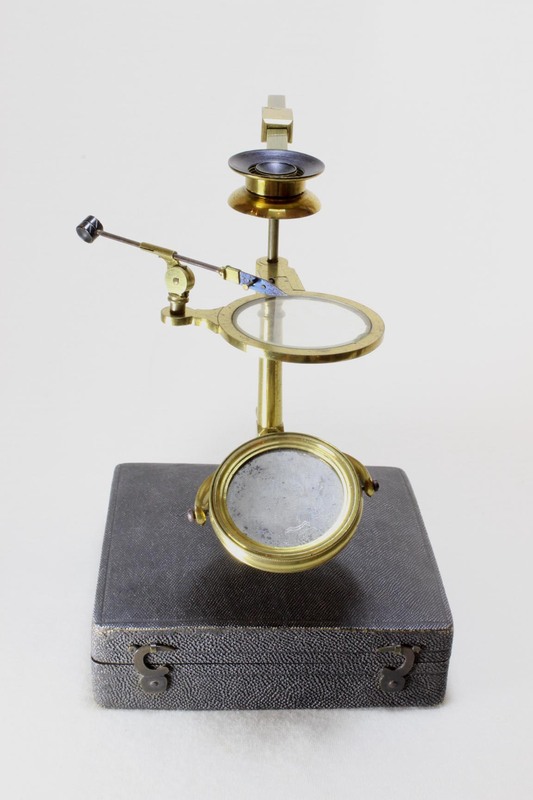 What is clear is that, under the direction of Ellis, Cuff made a form similar or identical to this one which became the Ellis Aquatic Microscope . 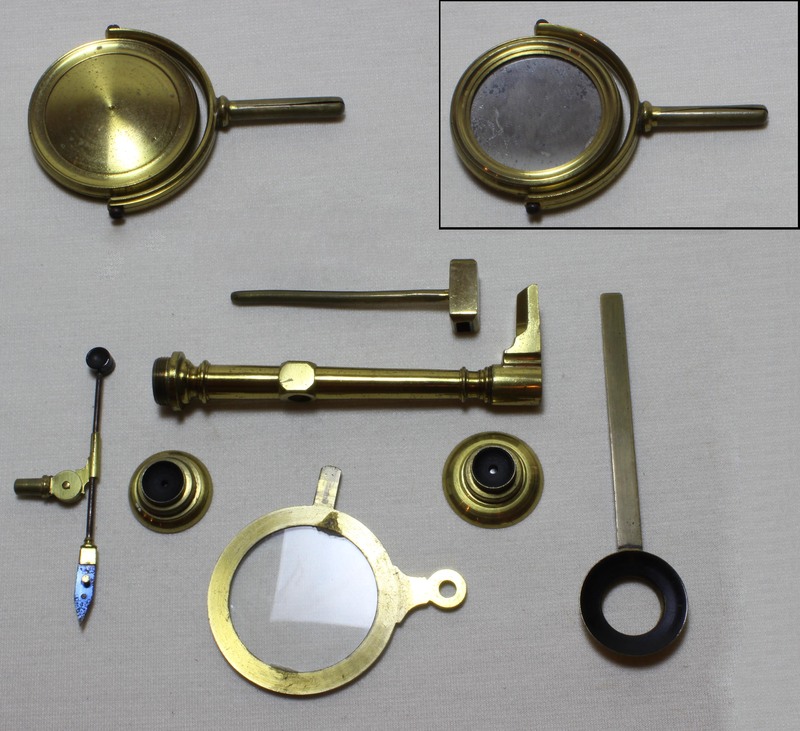 Later improvements to this design eventually included rack and pinion focusing, and later, Raspail changed the forward and backward motion of the arm carrying the eyepiece to a fine motion driven by a screw mechanism. 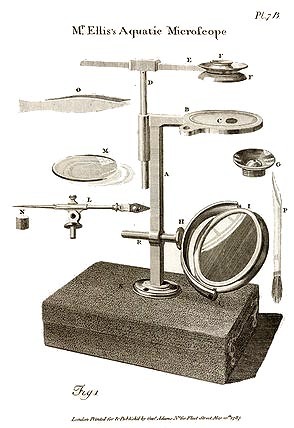 Interestingly enough, Raspail (a histochemist) then called this newer form a Chemical Microscope. 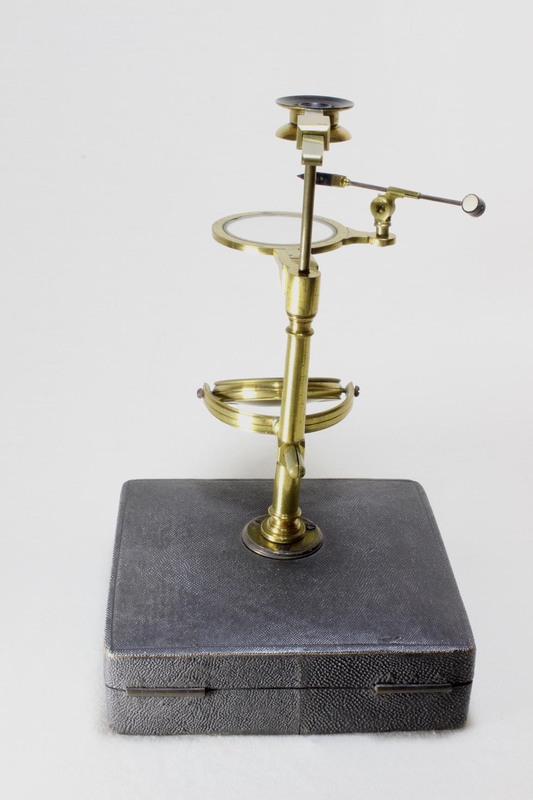 An example of a Raspail type of Ellis Aquatic microscope, made by Picart, is on this site. 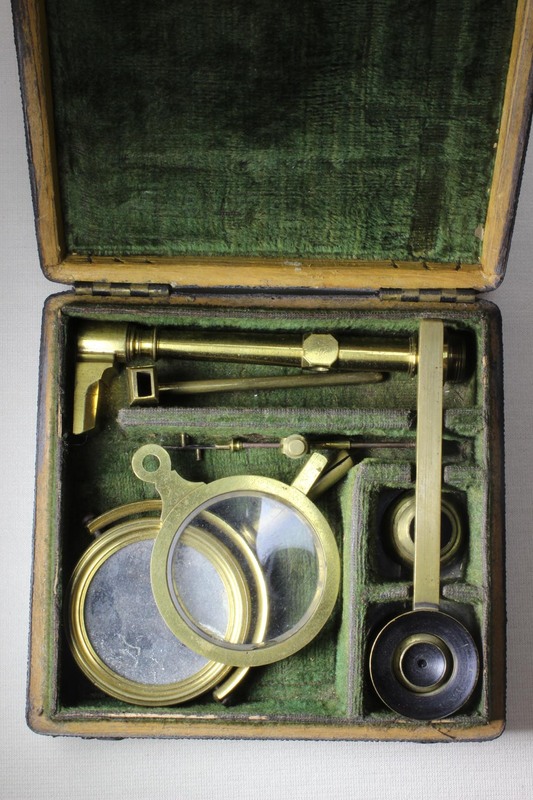 It is likely that these instruments were the precursors of later dissecting microscopes. 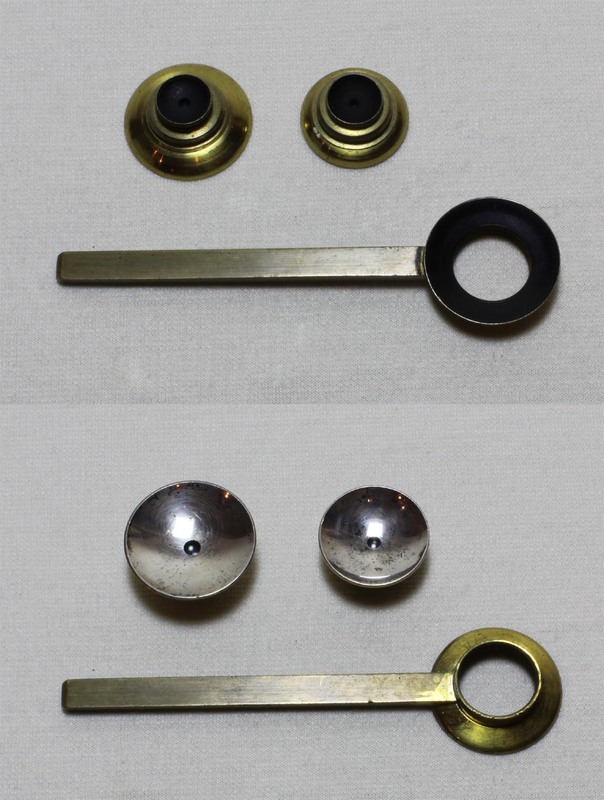 Some models, such as the Picart model and dissecting models made by Ross, had rack and pinion control to the arm as well as the focus.